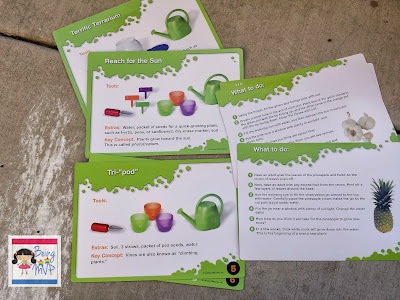 being MVP: Learning Resources: Primary Science Plant & Grow Set & Giveaway! 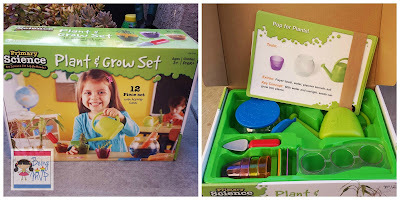 Learning Resources: Primary Science Plant & Grow Set & Giveaway! The weather has been nice and Kenzie is excited about planting her "garden" this year so the Primary Science Plant & Grow Set from Learning Resources arrived just in time for review. I actually do not have the green thumb so this was a fun activity for both of us. A mother-daughter bonding experience that can become something Kenzie can enjoy as she grows. 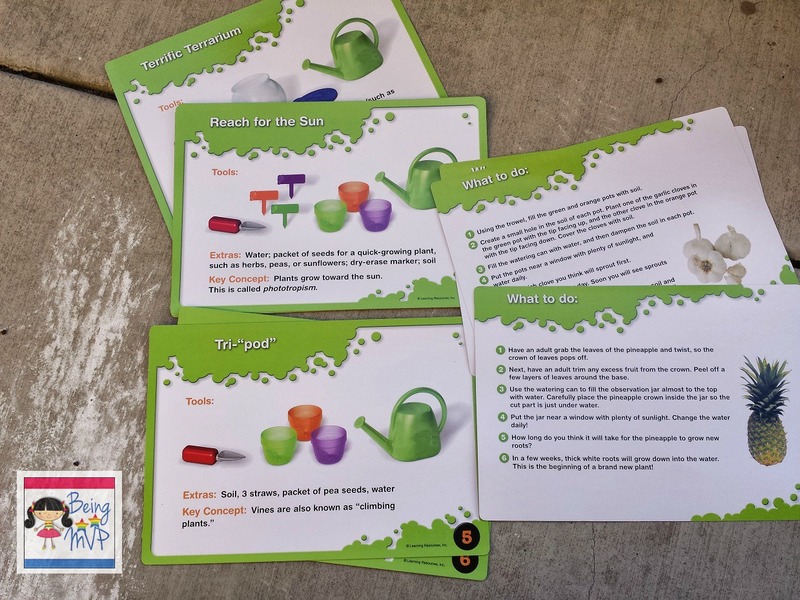 The Primary Science Plant & Grow Set includes: 1 watering can, 1 rooting tray, 1 observation jar, 2 solid and screened lids, 3 pots, 1 trowel, 3 plant markers and 10 activity cards. Kenzie was excited about the watering can, naturally because she has about 4 others already! However, the green watering is her favorite because green is her favorite color. The activity cards are pretty neat because they have step by step directions for different "projects" that can be done with your child(ren). They are easy to follow but the extras need to be purchased if you don't have it. Since I didn't have the extras for the projects Kenzie wanted to do at the moment, I had some prepackaged seeds and soil for her to use. 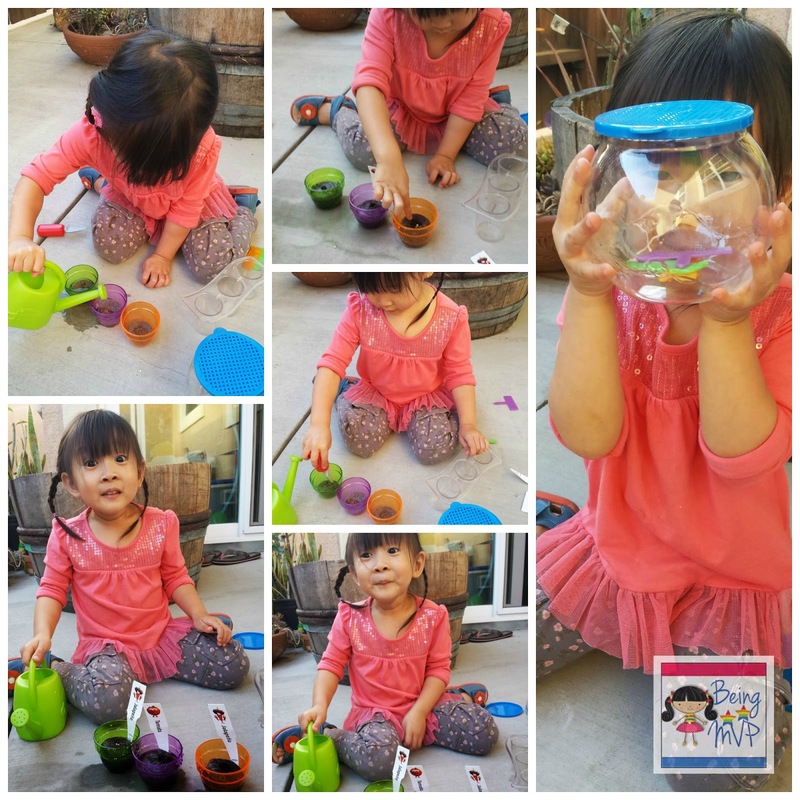 Kenzie had a blast filling her pots with tomato and jalapeno seeds and making the soil expand by pouring water in. She even put the premade stakes into the pots. Once these grow, we will have to transplant them into larger pots and then start again with the seeds. The observation jar is pretty neat. You can pretty much put anything in there to observe and Kenzie wanted to go catch lizards but I told her to wait until Hubs returns from his business trip because there was no way I am running around trying to catch those with Mason in tote. Overall, this is a fantastic set that will grow with your child and loads of learning to be had. Hopefully we will be able to enjoy the fruits of Kenzie's labor soon! Buy It: You can purchase the Learning Resources Primary Science Plant & Grow Set for $29.99. 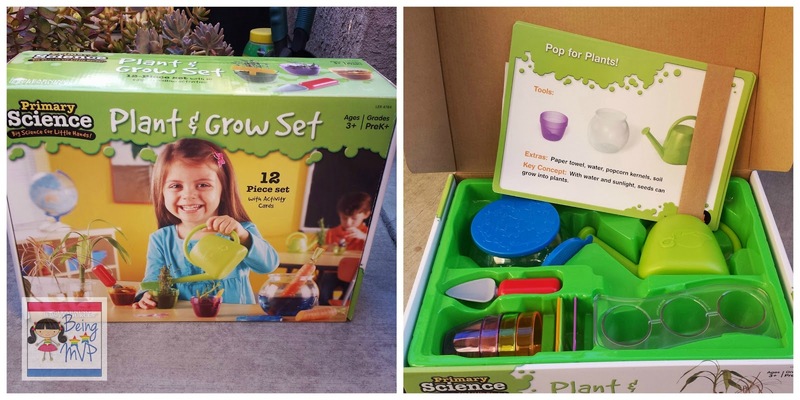 One Winner will Receive the Primary Science Plant & Grow Set! I like the New Sprouts™ Fresh Picked Fruit & Veggie Tote . Find the hidden treasures in Ten-Frames! I love Learning Resources as a homeschooling mom. I like their glo-Pane™ Ultra-Slim Light Panel. the ten frame treasures game looks great! My son would like the basic measuring tape. I love the New Sprouts line. Smart Snacks® Shape Sorting Cupcakes . I like the Snapshots™ Critical Thinking Photo Cards, Grades PreK–K. I think my oldest daughter would enjoy the GeoSafari Talking Globe Jr. A lot of great products on this site. I like the New Sprouts™ Fresh Picked Fruit & Veggie Tote. Thanks so much for the fantastic giveaway! I also like the new sprouts ring it up cash register! I love their Crocodile Hop™ Floor Game! I like the Jumbo Magnifiers. i love the fresh fruit & veggie tote! my son needs some play veggies but i have yet to make him some felt ones.. maybe someday!! :D thanks! I like the go-Pane Ultra-Slim Light Panel! I also like the Pretend & Play Sliceable Fruits & Veggies.